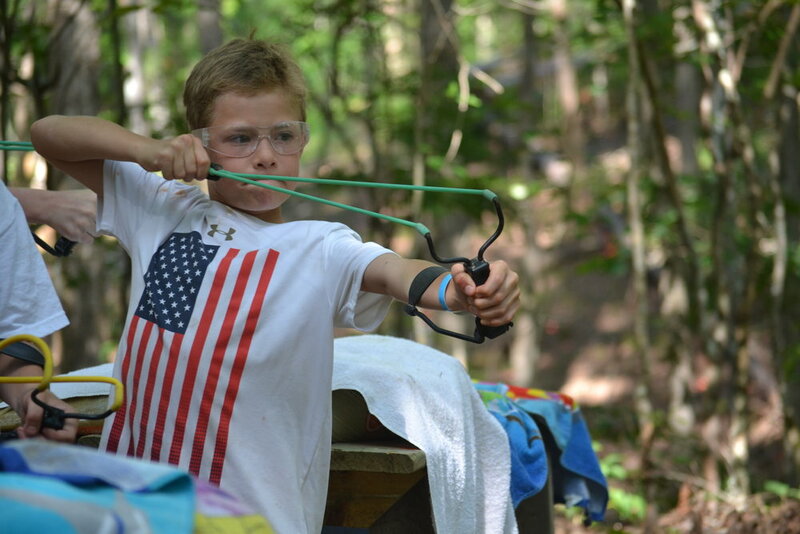 Hear from camp parents, alumi, and campers about the Winnataska experience. What makes Camp Winnataska so special? Why choose a rustic summer camp experience over air conditioning? Why do campers return year after year? The staff and volunteers are wholeheartedly committed to ensuring that each child is loved, cared for, and affirmed while there. My children come home with joy in their hearts. The experience of being away from home in a supportive environment builds a healthy sense of confidence and allows for children to experience small, independent, victories that make a big impact on their lives. Camp provides an opportunity to grow and learn about yourself, life, and build your relationship with God in a very supportive and caring atmosphere. The staff are all incredible, child-centered, and enjoy working with children. The staff are usually former campers who grew up there, and want to pass on the incredible Winnataska traditions to others. I am a teacher, and in a world that caters to children to make sure they are always "happy," given what they want, and often given assurance that they are always "winners" - being in a rustic setting, being exposed to outside activities and experiences helps to encourage them to learn to live in a non-perfect environment, be happy with their situation and surroundings, and learn to work together. Breaking free of technology and the constant need to feel "in touch" is crucial for everyone - not just campers. It urges everyone to reevaluate their sense of self-worth, which comes from God and not Instagram "likes," and truly connect with those around them. That is how real friendships and memories are formed - not by watching a movie or TV or phone screen. I was a little apprehensive to send my young children to an overnight camp, so I selected mini-Chico. When I arrived to pick them up, they were heartbroken they couldn't stay longer. I was so proud of them, and that was just the beginnings of their camp careers. I couldn't have kept my kids away if I wanted to! Camp Winnataska is a a life-changing experience! Today, it is the rustic charm that makes Winnataska great. Any camp can offer air conditioning and more luxurious amenities, but being separated from the world is a priceless treasure. That is how you can meet friends who truly love you for who you are and de-stress from the world. Camp makes me feel safe. It is a place I have always been able to open up at and be myself. I feel that at camp, I have a voice that can be heard.